My favorite place to eat is on the streets, while shopping. Hahaha seriously! 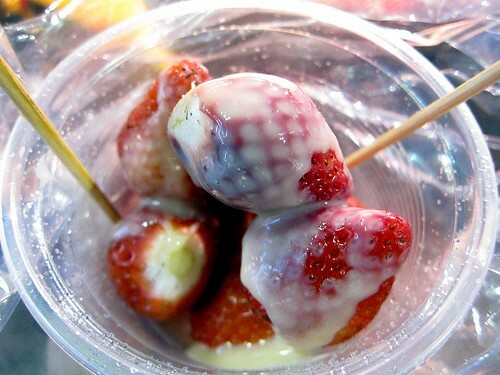 Above is a great meal I had of strawberries and condensed milk all the way in Taiwan.